More than 700 exhibitors from 17 countries and 13 industries participated in Baghdad International Fair 2018 and Karl Kolb was one of them. We are proud to have been part of this successful event, particularly of the German pavilion with more than 20 other German companies. 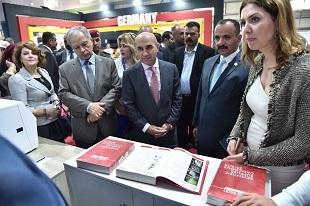 We thank the Ministry of Trade in Iraq and the German Liaison Office for Industry and Commerce for the good organization of the fair and the German pavilion. Furthermore, we also thank all visitors to our booth and our team on site for their great work. The National Cancer Research Center at Kufa University just started to operate their new state of the art immunohistochemistry platform – manufactured by Leica and supplied by Karl Kolb. The advanced IHC solution from Leica Bond Max reduces the turnaround time, decreases costs, guarantees good results and eliminates human errors in handling the samples. The National Cancer Research Center is an outstanding institution since they serve both researchers and patients. Karl Kolb and the Kufa University have a good and long relationship because of the big project which Karl Kolb executed for the Ministry of Higher Education in Iraq. Within the scope of this project Karl Kolb equipped Kufa University with many devices for the Medical, Dental and Pharmaceutical Colleges. This year Karl Kolb will again participate in the most important fair in Iraq: the 45th Baghdad International Fair which takes place under the slogan “Determination for Building and Reconstruction Similar to our Will for Liberation and Victory”. Therefore, Karl Kolb invites you to visit our booth in the German Pavilion, Hall 16 booth no. 7 from 10 to 15 November 2018. 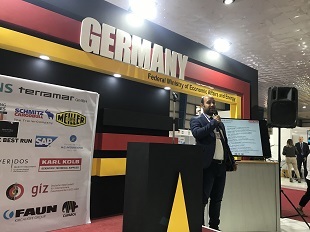 The German Pavilion is organized by the German Liaison Office for Industry and Commerce in Iraq and Karl Kolb is proud to be a part of it. After the German Day on 12 November Karl Kolb invites you to Product Introduction Seminars on 13 and 14 November to present our company and product range to you. Karl Kolb is looking forward to meeting many different visitors from ministries, committees, clinics, private laboratories and other institutions. Our big team of engineers and product specialists on site will be very happy to welcome you. See you soon. Karl Kolb recently started doing business with the state owned Iraqi National Hematology Center by offering a complete solution consisting of hardware, reagents, management and logistics of Beckman Coulter products. The center is specialized in handling complex hematology and oncology cases and is located in an area with a very high population. This project is a long-term approach which requires supportive planning from Karl Kolb. But we accept the challenge and are confident that this light tower project will be followed by other successful public-private-partnerships. Karl Kolb provides Beckman Coulter’s outstanding solutions in hematology, clinical chemistry and immunodiagnostics. The devices are fast, user friendly and deliver accurate results. Our customers trust Karl Kolb and our partner Beckman Coulter due to the steady availability of service from experienced and factory trained engineers. 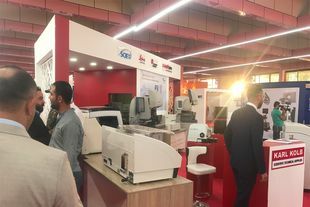 Fast growing private laboratories like Dr. Hadeel Al-Rubaiye Private Lab, Nukba Group and TopLab find Beckman Coulter products attractive and competitive thanks to the smart financial solutions offered. 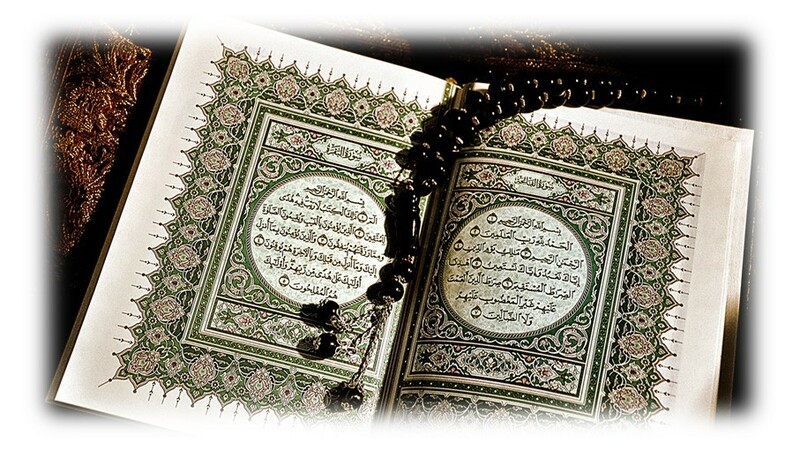 Other private laboratories like Al-Saddiq Specialized Lab and Al-Buraq Specialized Lab appreciate mostly that they can get all diagnostic equipment from one reliable source. Their special interest lies in assays like EPO, IL-6 and VIT-D. Furthermore, also governmental hospitals like Ibn Ghazwan hospital in Basra and Al-Karkh state hospital in Baghdad are trusting Beckman Coulter devices as they fulfill their requirements of a fast turnaround time and the possibility of a high level quality management. In summary, Karl Kolb is very proud and grateful for the successful collaboration with Beckman Coulter and our loyal customers. 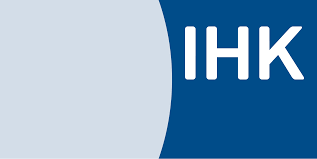 With the beginning of the new school year in August 2018 another young talent started his apprenticeship at Karl Kolb’s headquarter in Dreieich, Germany to become a clerk in wholesale and foreign trade certified by the Chamber of Industry and Commerce (IHK). Karl Kolb thereby contributes to promote young people and supports their entrance into working life. Throughout the two to three years of apprenticeship the trainee goes to school to learn the basics of wholesale and foreign trade and works in our various departments to get a more specific insight of the different tasks a clerk in wholesale and foreign trade has to handle. 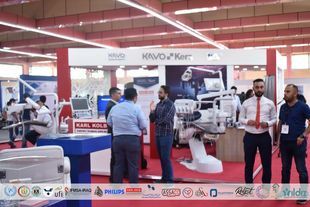 After the huge success of the first edition of International Iraq Healthcare Exhibition and Conference in 2017, Karl Kolb participated in the 2nd Healthcare Exhibition in Baghdad from 28 June 2018 to 30 June 2018. In line with the Ministry of Health´s plan for developing the healthcare sector in Iraq, this exhibition focused on how to build a sustainable healthcare infrastructure and to create a professional platform to attracting a wide pool of healthcare stakeholders. Representing top-quality healthcare brands such as Leica, Beckman Coulter, Kavo, Kerr, Sciex and Analytik Jena, it was a pleasure for Karl Kolb to meet our customers, partners and stakeholders interested in our products & services. 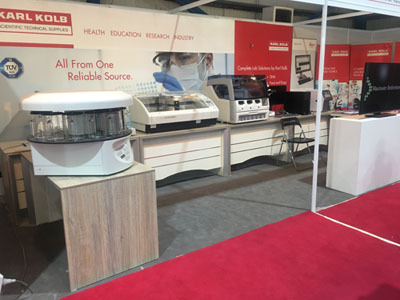 It is one of Karl Kolb’s main targets to contribute to the further development of the healthcare sector in Iraq by supplying scientific equipment with the latest and highest technology. As in the past, also in the future we will do our utmost to strengthen the healthcare sector in Iraq. 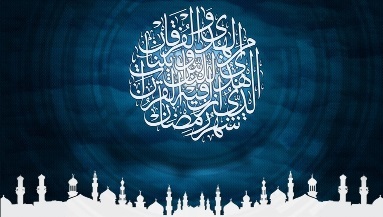 with all the best wishes we want to send you and your whole family our heartiest greetings for the Eid-ul-Fitr. Have a blessed and joyful celebration with your beloved ones and we wish you for the future lots of love, health and all the best. It is our aim to deliver not only equipment but an extensive service tailored to the individual requirements of our customers. Therefore, at Karl Kolb, we provide our staff with a wide range of sales and engineering trainings to ensure that they are always up to date and can offer our clients the best possible service. By regularly checking and implementing the acquired knowledge, either in theory or practically in the field, we are able to continuously improve our expert customized services. The high-end equipment from our renowned partners like Beckman Coulter, Sciex, Leica, Spectro, KaVo Kerr, Analytik Jena and many others does not only need trained people to be installed but also a training in application. Consequently, Karl Kolb, in cooperation with our partners, also offers end-user trainings, either at factory site or customer’s site, whatever suits best. 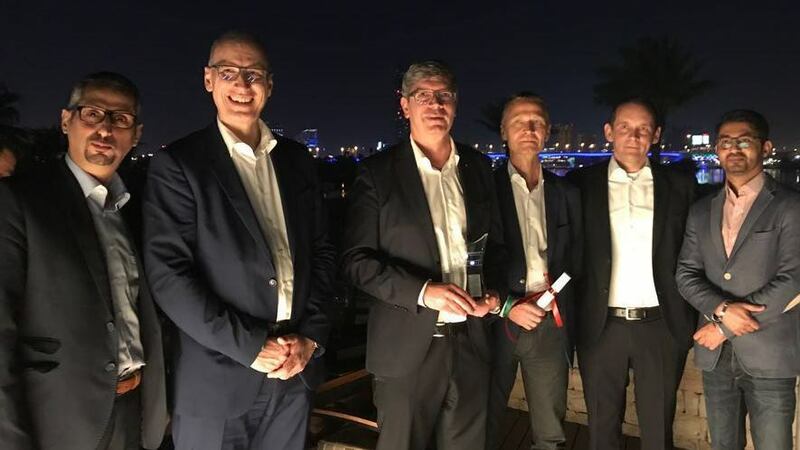 Karl Kolb has been awarded the “Best Achievement 2017” by Analytik Jena (an Endress + Hauser Company) embedded in the Arab Lab 2018 on 19 March in Dubai. Analytik Jena is a provider of instruments and products in the areas of analytical measuring technology and life science. Karl Kolb is a distribution partner of Analytik Jena and was awarded for its excellent sales activities in Iraq. After being issued the ISO 9001:2008 certificate in 2016, Karl Kolb is proud to publish the recent upgrade to the new ISO 9001:2015 guideline after having passed an early repeated audit process by the certification authority of TÜV SÜD. The new certificate ISO 9001:2015 is valid until February 2021 and proves that Karl Kolb has not only established but successfully maintained and even improved its Quality Management System according to the mandatory requirements. In summary, the enhanced QM-System encompasses sharper strategic orientation of the business both internally and externally; extension of all target groups under the aspect of being compliant with the quality directives; process management which has become more important than ever; distribution of responsibilities which implies that the requirements for both the top management and the quality management have increased. A newly considered but significant topic is the risk management which requires the company to estimate and handle risks and chances systematically and continuously. Knowledge management and digital documentation in form of systematic filing and organizing folders are also parts of completing the new guidelines. Karl Kolb succeeded in applying all of the required directives to the entire internal business, to all working processes as well as to the full range of products and services as stated: „Full range provider of laboratory, medical and scientific technical equipment and institutions including installation, training and after sales services“. 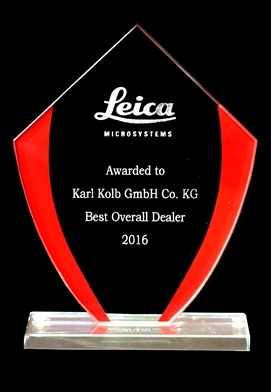 Last year Karl Kolb has already received an award for “Best Overall Dealer 2016” by Leica Microsystems. This year Karl Kolb is proud to announce to have been awarded by Leica Biosystems as “Highest growth in Staining Instruments revenue 2017” in context with the annual Sales Meeting in Bucharest (Romania) from January 30 until February 2, 2018. Leica Biosystems is a global leader in workflow solutions and automation, integrating each step in the workflow from biopsy to diagnosis under the mission “Advancing Cancer Diagnostics, Improving Lives”. Karl Kolb is the exclusive distributor of Leica Biosystems in Iraq. Karl Kolb participated at the 44th Baghdad International Fair in Baghdad from 21 – 30 October 2017. The exhibition took place under the slogan “We liberated our land and with your cooperation we will build it”. More than 400 companies from 18 countries and more than 1 million visitors attended the Baghdad International Fair. As in the past years, Karl Kolb GmbH & Co. KG took the opportunity to meet different ministries and commissions along with distinguished doctors and interested people from the medical and educational sectors. As one of the most visited booths Karl Kolb presented their full range of services – innovative and sustainable. The Chamber of Industry and Commerce (IHK) Offenbach recently honored Karl Kolb´s apprentice Ms Andrea Maedel for her excellent performance in the final IHK exams. Within two years she fin-ished a trainee program as wholesale and foreign trade clerk at our headquarter in Dreieich. We do not simply want to offer our clients a full range of lab equipment, it is a pleasure for us to sup-port our customers with the best experts. Therefore, we are happy to announce, that we have gained Ms Maedel as another dedicated and talented sales expert to complement our team. In the context of the 9th World Metrology Day, Karl Kolb participated in the 2nd Iranian Metrology Conference together with representatives of the Research Institute of Sweden (RI.SE) and the National Metrology Centre of Iran (NMCI). The Conference was hosted by the supervising body of NMCI, the Institute of Standards & Industrial Research of Iran (ISIRI). Karl Kolb is acting as a platform of communication in order to strengthen the relationship between ISIRI-NMCI and RI.SE by the means of a local presence with offices and personnel based in Tehran. This mediatory role aims to encourage both organizations to collaborate further in the fields of calibration and traceability in line with Karl Kolb’s philosophy of “serving mankind by serving science”. Karl Kolb agrees on distribution terms with Beckman Coulter Diagnostics for Iraq. Karl Kolb is proud to offer the complete comprehensive diagnostics portfolio of Beckman Coulter serving our customers all over Iraq. Beckman Coulter develops, manufactures and markets products that simplify, automate and innovate complex biomedical testing. More than 275,000 Beckman Coulter systems operate in both diagnostics and life sciences laboratories all over the world. For over 75 years, Beckman Coulter products have been making a difference in peoples’ lives by improving the productivity of medical professionals and scientists, supplying critical information for improving patient health and delivering trusted solutions for research and discovery. 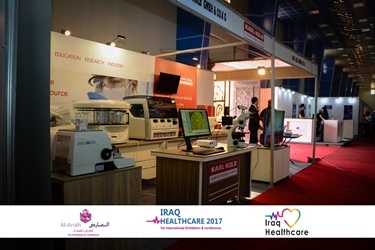 Karl Kolb participated in the 1st Healthcare Exhibition in Baghdad from 26-28 April 2017. 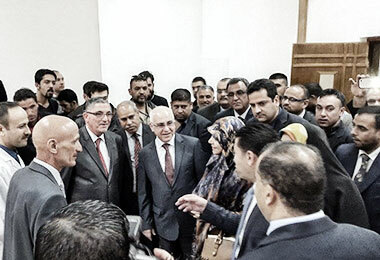 In line with the Ministry of Health´s plan for developing the healthcare sector in Iraq, this exhibition was focused on building up a sustainable health infrastructure to ensure an enduring health care system in Iraq. It was a pleasure for Karl Kolb to meet our customers, partners and interested companies in our products & services. It is one of our main targets to be able to contribute to the further development of the healthcare sector in Iraq by supplying scientific equipment with the latest and highest technology. For the future, we will do our utmost to strengthen the healthcare sector in Iraq. Karl Kolb has been awarded the title of „Best Overall Dealer in 2016“ by one of its main business partner companies, Leica Microsystems. 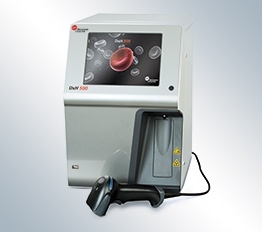 Leica Microsystems is a world leader in innovative microscopy and software solutions for imaging and analysis of macro-, micro- and nanostructures. Karl Kolb is the official distributor of Leica Microsystems in Iraq and was awarded for its excellent business activities in Iraq during 2016. Karl Kolb would like to invite you to visit our booth at Iraq Healthcare Exhibition in Baghdad from 26 - 28 April 2017. In the line with the Ministry of Health’s plans for developing the healthcare sector in Iraq, the 1st International Iraq Healthcare Exhibition and Conference will be organized from 26 - 28 April 2017 at Baghdad International Fair Ground. The 1st Iraq Healthcare - Baghdad will focus its efforts to build a Sustainable health infrastructure to ensure a primary sustainable Healthcare system. The new ISO 9001:2008 certificate has been issued for Karl Kolb, being valid until September 2018. This Quality Management System was audited by the certification body of TÜV SÜD and includes the full scope of products and services of Karl Kolb: „Full range provider of laboratory, medical and scientific technical equipment and institutions including installation, training and after sales services“. Baghdad, October 2015 - In a fast changing medical field such as dentistry, it is essential to stay on top of new developments in order to ensure a thorough education for future dentists and improve treatment facilities. For this reason, KARL KOLB was contracted to support the College of Dentistry of Baghdad University in their modernization process by supplying various devices, such as dental chairs, prosthetic and simulation systems and imaging instruments to their departments. 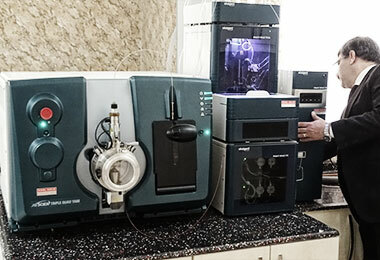 Basrah, October 2015 – The Department of Biochemistry at the College of Medicine of the University of Basrah recently received a new state-of-the-art liquid chromatography coupled tandem mass spectrometry (LC-MS/MS) System. The system is intended for research on therapeutic drug monitoring, i.e. immunosuppressants and antiepileptics, newborn screening, steroids and many more. The innovative design of the instrument combines a highly sensitive triple quadrupole with the company’s patented Linear Accelerator Trap™- currently the world’s most sensitive ion trap - increasing the sensitivity and speed of the measurements and facilitating the work flow. To enable the scientists to make full use of the system’s potential Karl Kolb organized an extended two week training on the device and its accompanying software at the Sciex Training Facility in Darmstadt, Germany. As customary for Karl Kolb, the after-sales support will continue on a regular basis through frequent visits. This in turn ensures fast troubleshooting in application issues and maintenance requirements. Babylon, February 2015 – Sponsored by the Minister, the College of Dentistry at the University of Babylon opens the doors of their new Clinic of Operative Dentistry. To witness yet another milestone being set in the modernization of the Iraqi dental health care and education, the University President Dr. Adil Albaghdadi and the Dean of the Department of Dentistry Dr. Mehdi Jakob hosted very prominent guests, such as Deputy Minister Dr. Fuad Qassim, Member of Parliament Ms. Hanan Al-Fatlawi, Head of the Governorate Council Mr. Raad Hamza Al-Alwan and Local Governor of Babylon Mr. Sadiq Madlool.